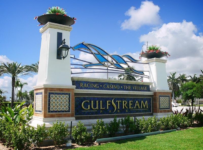 Gulfstream Park and Calder Casino & Race Course will both have stakes races today as they begin their third weekend of head-to-head racing.Calder will have the bigger story as it holds the first two races in the annual Florida Stallion Stakes series for 2-year-olds. But it could be the start of a last hurrah for Calder which has been the home of the Stallion Stakes series since its inception in 1982. The series, with divisions for males and for fillies, will continue on Aug. 24 and end on Oct. 10. 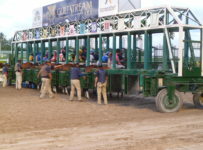 Until this year, Calder has been the only Florida track running during the summer and fall. 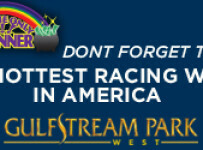 This month Gulfstream and Calder both applied with the sponsoring Florida Thoroughbred Breeders and owners Association (Florida TBOA) to hold the series in 2014. 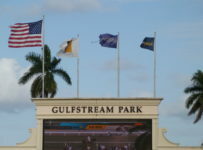 The word in racing circles is that the Florida TBOA has decided to move the Stallion Stakes to Gulfstream, which is more prominent than Calder and is preparing to add more stakes races for Florida-breds.Officials of the Ocala-based Florida TBOA would not comment last week on the possible shift. 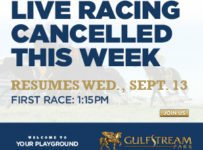 Out of courtesy, the breeders group is no doubt holding off on an announcement until at least several days after Saturday’s races.Making an announcement sooner would be akin to kicking someone who is on the ground. 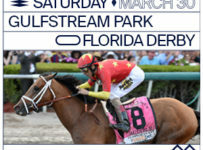 Calder is figuratively down and on the ground in its battle with Gulfstream for bettors, horses and trainers (see the Inside Florida Horse Racing post from earlier this week). 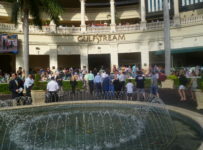 Last Saturday and Sunday, Gulfstream beat Calder by a 4-1 margin in all-sources handle with $5.5 million to $1.4 million combined for the two days. Calder will probably narrow that gap today. 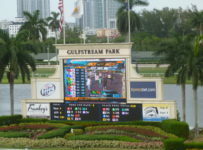 The Stallion Stakes races are attractive to many simulcast and ADW bettors around the country as well as to fans at Calder and at Gulfstream. 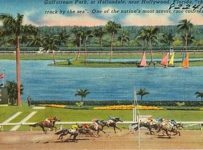 Amid their rivalry, the two tracks are still carrying simulcasts of and taking bets on each other’s races. 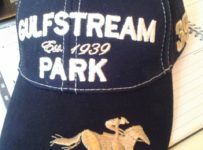 The Stallion Stakes series has gained additional recognition in recent years as the starting point for several horses that went on to national stardom. Those horses were Big Drama, Jackson Bend, Awesome Feather and Fort Loudon. 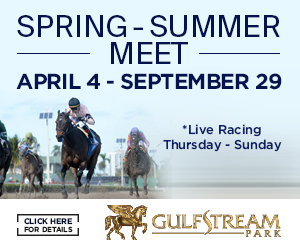 The opening leg races today are the Dr. Fager for males and the Desert Vixen for fillies. Both are six furlongs on dirt and have $75,000 purses. 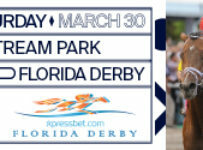 Those races are open only to sons and daughters of Florida-based stallions whose owners have nominated them for the program. The Dr, Fager has10 entrants and the Desert Vixen has eight entrants. Most have raced just once or twice. Trainer Kathleen O’Connell has top contenders in each race. 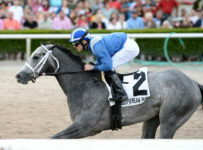 The Saturday stakes at Gulfstream is the $100,000 Sowing Up at 1-1/6th miles on turf for 3-year-olfs. 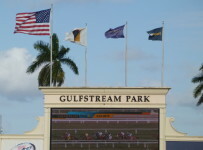 Neither track has any stakes races this Sunday, the 21st, when both tracks will have eight races. 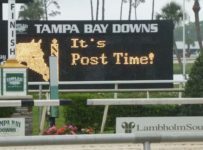 First post time each racing day is 12:50 p.m.at Calder and 1:15 p.m. at Gulfstream.